Two cowboys work the pens of cattle at a feedlot in southwest Kansas. The majority of workers, including the cowboys, are immigrants, as are laborers in the area’s dairies, two giant meat-processing operations and burgeoning ethanol plants. That’s why this owner, who asked not to be identified for fear of attracting the attention of immigration officials, is supporting a quiet but growing effort for a federal reform that would allow undocumented immigrants to stay in the U.S. to work in the agriculture industry. Harvest Public Media's Peggy Lowe explains the debate over farm labor. U.S. Rep. Bob Goodlatte, a Virginia Republican, is sponsoring a bill that would create a guest-worker program and, among other things, would increase the number of workers allowed into the country, ease red tape and include not just seasonal workers, but those who work year-round in feedlots and dairies. The bill was narrowly approved by a U.S. House committee in October and now moves to the full House. Large farm groups say the labor shortage is at crisis levels — and they want relief. Even members of the Trump administration support legal status for undocumented farm workers at a time when anti-immigrant sentiments are running high. Sonny Perdue, President Donald Trump’s Agriculture Secretary, told Harvest Public Media this spring that he is working on a plan to allow undocumented workers to stay in the U.S., and that Trump supports it. “He understands that there are long-term immigrants, sometimes undocumented immigrant laborers, out here on the farms, many of them that are doing a great job contributing to the economy of the United States,” Perdue says. Politics make strange bedfellows, but many liberals and conservatives oppose Perdue’s proposal and Goodlatte’s bill. Colorado immigration attorney Dan Kowalski jokingly calls Perdue’s plan “agnesty,” or agricultural amnesty. He compares it with what a lot of employers already use: H-2A visas that allow workers into the country seasonally, but tie them to a single employer. “What I’m afraid of is that some employers or industries are longing for a return to a more plantation-type situation where you have low-paid, hard-working employees who are really trapped,” Kowalski says. Kansas Secretary of State Kris Kobach, one of the nation’s leading anti-immigrant voices and running for the Republican nomination for governor, made a name for himself writing get-tough immigration laws for states like Arizona and now heads Trump’s voting commission. He opposes any amnesty-like changes to immigration law, he recently explains, pointing to a 1986 amnesty offered under President Ronald Reagan that attracted more than a million immigrants, many using phony documents. A cowboy on horseback moves cattle at a large feedlot in southwest Kansas. He is one of 400 workers at the business, which depends on immigrant labor. “This is setting up a permanent second class of persons in the United States,” he said. 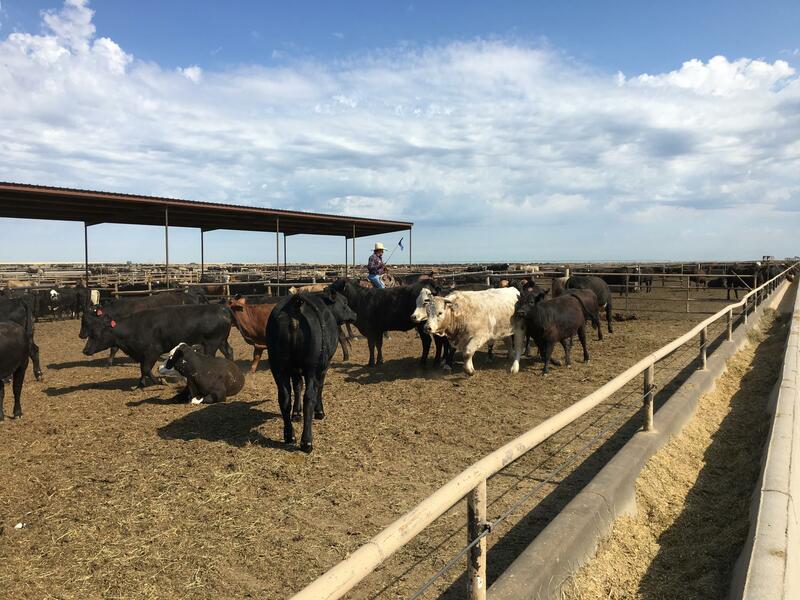 The feedlot owner in southwest Kansas, who says all of her employees are documented, is concerned that reports of arrests and mass deportations will lead to losing her workforce. If someone in an employee’s family doesn’t have papers, she says. the entire family may to return to their home country out of fear.